Nothing can put an end to a quarter mile pass or hill climb faster than a turbo hose that blows off. Now, you can eliminate this problem with BD’s new hose and clamp kits.Eye-catching blue Nomex silicone hoses can withstand over 100 psi of boost, and are secured by rugged, spring-loaded, stainless steel T-bar clamps. 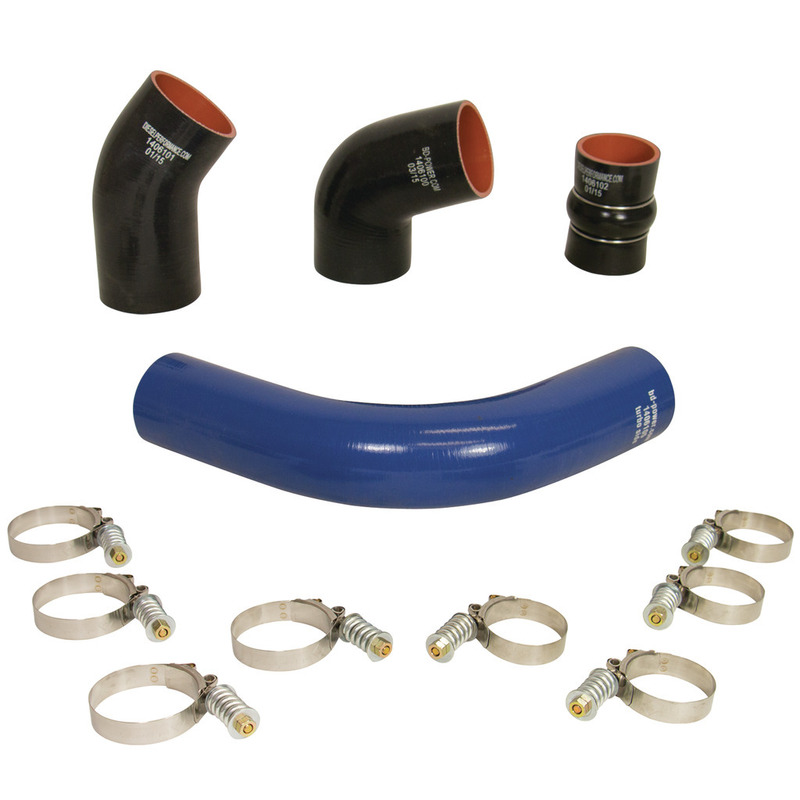 Engineered for each individual application, BD hose and clamp kits are a must for any modified turbo diesel.